Scan a QR code and directly upload files to your PC over Wi-Fi! Fil3Tr33, Twofoo Direct and PixFolder can upload files or push a web link by scanning a QR code shown in Twofoo Search (Direct Push Mode). 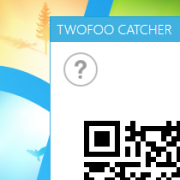 Along with Twofoo Search, we now have Twofoo Catcher for Windows 7/Vista. It also supports the desktop mode of Windows 8.1/8. If you're using Windows 7/Vista or prefer using the desktop mode of Windows 8.1/8, simply install and run Twofoo Catcher. It shows a QR code as soon as it's launched and automatically closes itself when the QR code is successfully scanned from our Windows Phone apps. Click here to find out more about Twofoo Catcher! https://choung.net/data/wp-content/uploads/2015/01/twofoo-catcher.png 300 210 Support Team /img/choung-logo.png Support Team2015-01-31 14:13:032015-01-31 14:18:21Scan a QR code and directly upload files to your PC over Wi-Fi! PixFolder now supports directly uploading multiple image files or a PowerPoint file to Windows 8.1 PC or tablet by scanning a QR code shown on Twofoo Search. PixFolder now supports photo listing view that shows file names and other properties. 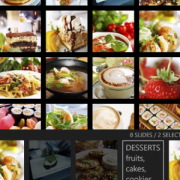 Photos can now also be sorted by name or size in ascending or descending order. Main application bar now has a "connect" button for starting the Share Server. Share Server now shows the content of the current folder and its subfolders. The current folder is where Share Server is started. Share Server now has options to control the "write" permission and the visibility of hidden folders. When hidden folders are not set to be shown, they will not be listed when Share Server is accessed from Windows File Manager. However, you can still access a hidden folder by directly entering its path from Windows File Manager. You can now access the PowerPoint file created with photos in PixFolder via built-in Share Server. If you wish to email the PowerPoint file or do "Tap+Send", select "Local Folder (Office Mobile)" option and once the file is opened in PowerPoint Mobile, use its "share..." menu. You can now rename multiple photo files at once. In such case, PixFolder automatically appends an index number to the new name. PixFolder now adds pictures from Photos Hub a bit faster. This new version fixes the folder name displaying problem when a certain regional format is chosen in Windows Phone "language+region" Settings. This new version also includes other minor bug fixes and improvements. PixFolder now provides more powerful features and runs smoother and faster even with a large number of photos! PixFolder now includes a much improved image viewer. PixFolder now supports periodically changing the Lock screen background image with a randomly selected photo from a designated folder. When you pin a folder to Start screen, PixFolder now creates a "wide" Live Tile and shows randomly selected photos from that folder. When you pin a photo to Start screen but selects 3 or more photos, PixFolder now creates a "wide" Live Tile showing first 9 of those photos. PixFolder now includes "Share Server" and allows direct wireless access to its photos from any Windows 8/7/Vista/XP file manager; photos can be accessed like files from network shared folders. You can now open PixFolder directly from Photos Hub "apps" pane. Two-finger tap gesture now toggles "full screen" mode on photo/subfolder listing pane. PixFolder now has an application bar button that starts picture selection mode. You can also still activate picture selection mode with tap-and-hold gesture. 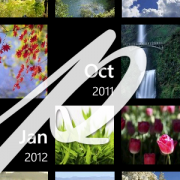 PixFolder and PIX2PPT now natively support Windows Phone 8. 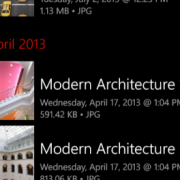 In both PixFolder and PIX2PPT, a newly created PowerPoint file can now be directly opened in Office Mobile and saved to Office Hub for Windows Phone 8 devices. PIX2PPT now supports pushing a SkyDrive shared link to any modern Web browser via Sticurry.com. The new versions also include minor bug fixes and enhancements. Please note that our primary development focus now moves to Windows Phone 8 and in order to maintain consistency and minimize confusion, we will be using version number 1.x for PixFolder and PIX2PPT for Windows Phone 7.x. 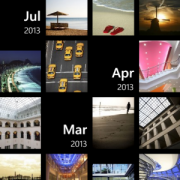 For Windows Phone 8 targeted PixFolder and PIX2PPT, we will be using 2.x or higher version numbers.